At the close of his Sunday evening sermon, my pastor dad stepped down from the raised platform at the front of the small country church to stand in front of the pulpit. As is the tradition in many churches, he stood there to welcome and receive anyone who might come forward during the final hymn asking for membership in the church or wishing to publicly announce a spiritual decision. My mother (a dutiful pastor’s wife) sat on the second pew. Normally she would have been standing with the rest of the congregation as they sang the service’s final hymn, but on this night she sat between her two little boys, each stretched out asleep and each with a head in her lap. When the pianist struck the first note of “Just as I Am” a little mouse ran out from under the piano and went straight to the front of the church. The mouse stood up on its back legs right in front of my dad. Daddy watched the mouse carefully, formulating a plan for what he would do if the critter started climbing his leg. 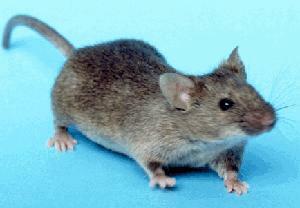 The mouse circled him three times, stopping in front of him each time to stand and look up. Daddy’s eyes followed the mouse as far as his head would turn then quickly switched sides to catch it on the way around. Except for my mother no one else in the church could see the mouse. From her vantage point, she had a perfect view of every step it took. She also saw the terror in her husband’s eyes. Daddy was a big, strong guy and he wasn’t afraid of the mouse per se. But he was terrified of the disruption he would cause in the solemnity of a worship service if the mouse decided to run up his pants leg. Mother didn’t shriek. No. She stifled a laugh. The more she tried not to laugh, the more persistent her need to laugh. Her face turned red and her whole body shook as it tried to contain the laugh that wanted out. While the other people in the church couldn’t see the mouse, they could see the preacher’s head spinning with his eyes glued to the floor and his wife convulsing with stifled laughter. When the song ended the mouse disappeared under the piano and they never saw it again. We aren’t sure if it had come out to complain to the management or if there was something else it wanted to discuss with the pastor. But since it was not welcomed as a member at the Baptist church, I’m pretty sure it became a Methodist. This entry was posted in Uncategorized and tagged Clara Estes, funny church stories, Karen Estes Lowry, pastor's wife, preacher's wife, Raymond Estes. Bookmark the permalink.